'Tracy Rees is the most outstanding new voice in historical fiction' Lucinda Riley. The powerful third novel from the author of the Richard and Judy bestseller Amy Snow. 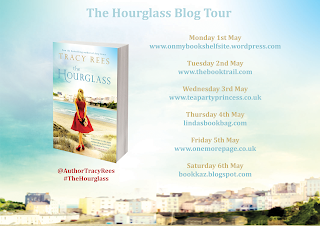 I'm extremely honoured to be part of this fabulous Blog Tour and am looking foward to sharing my review of this stunning book from Tracy Rees. 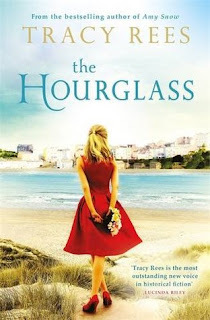 I loved spending time in Tenby with the characters and hope you are inspired to begin reading this wonderful tale. If you are looking for a wonderful time slip story full of hope set in the beautiful setting of Tenby, then look no further! I have thoroughly enjoyed escaping into the world of Nora and Chloe set in the present and the 1950's! In the present, Nora seems to have the weight of the world on her shoulders - working in a job that isn't making her happy, she's just split up with her partner and she's also in counselling to help deal with the anxiety she constantly feels. And then out of nowhere she gets an image of a seaside town stuck in her brain and the pull to Tenby is too much so she finds herself packing up her London life and taking the brave step to reconnect with the world and to find her way again to making herself happy. In the 1950's, Chloe goes to Tenby every Summer to stay with her Aunt and her family and it is the highlight of her year! Everything seems so much more glamourous to her by the seaside and she soon meets her best friend, Llew, there and can think of nothing better than the big dance of the Summer. As we follow both stories, they soon reveal that both Nora and Chloe fall quickly under Tenbys' spell and the people they meet have an immediate effect on their hopes and dreams for the future. With Nora she begins to regain her confidence and it is so lovely to see how she finds her feet and settles in so well. It also gives her time to reconnect with her grandmother who lives nearby and through her stories, she begins to learn more about her mother who seems reluctant to ever revisit Wales and seems to have spent her whole life avoiding the area and reluctant to ever commit to anything long term. And with Chloe we see her transform from young teenage girl to a young woman with her yearly visits to the seaside - how her relationships change with members of her family and those she meets up with every Summer leading up to something that changes her outlook and attitude for her adult life. Found this to be such an absorbing read as you really get a feel of each character with some wonderful writing, and beautifully described locations that just make you want to visit Tenby right away! As a young swimmer I remember one of our weekends away was spending time in Tenby for a gala meet, so it brought back some lovely memories for me and I could understand how Nora and Chloe fell for its' charm so quickly! It is a story full of how you can reinvent yourself after setbacks in your life, and how just a different setting or different people around you can inspire you to move on and reassess events that have happened in your past. This is the first book by Tracy Rees that I've read and it definitely will not be the last! !